We have shirts, book,s cards, prints, colouring books, crafts, animal puppets, and other treasures. Your purchase will support the Cowichan Estuary Nature Centre, a volunteer educational, non-profit initiative. 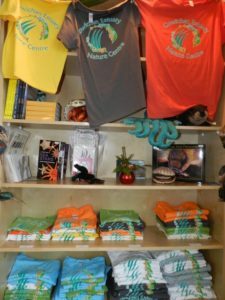 Give a gift of an annual membership in the Cowichan Estuary Nature Centre. Individual membership is $20 and a family membership is $35. Membership in the Cowichan Land Trust is included.